A new Symbian 1 smartphone from Nokia referred to as Nokia 5250 has finally launched in India and is available at all major mobile retail stores at a price of Rs. 7590. Rumours were ripe on Net that the Nokia 5250 will release around Diwali and they have become true with its unleashing now. It is targeted towards budget conscious buyers and it has landed in Indian handset market within a week of announcement of its launch. It is a touchscreen mobile phone that boasts a 2.8-inch wide HVGA display with a resolution of 640x360 pixels. 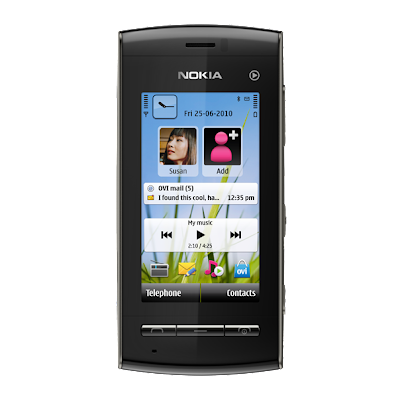 For a speedy operation, Nokia 5250 works on a Symbian 1, S60 edition operating system. It has 51MB of internal memory storage which may be further expanded to 16GB. The Nokia 5250 may be easily referred to as a music-oriented phone as it comes with a Hero Guitar mobile for free. Also users may access Ovi Music Unlimited on the phone in restricted places for downloading music of choice, as many as 4000 songs may be downloaded and stored in this phone. Its music capabilities are certainly cool. The smartphones usually lacks it but 5250 Nokia has an in-built FM and a universal 3.5 mm audio jack. The music player of the phone appears on its home screen which is another highlight. Ovi Share is pre-installed on it lets you upload photos on Net that you have clicked with your 2MP camera. The video player plays videos in formats like H263, MP4. In all, Nokia 5250 gives a superb multimedia experience to its users. Nokia 5250, however, lack a 3G and Wi-Fi capability which is quite disappointing. On social networking front, Nokia 5250 again works splendidly. It facilitates instant access to social networking sites as Facebook, MySpace etc. on its homescreen along with access to multiple email accounts and IM accounts namely Ovi Mail, Gmail and Yahoo. The Nokia 5250 also has Bluetooth with A2DP for data transfer and comes equipped with SMS, MMS, Nimbuzz apps as well. The super smart smartphone has a good battery back up with 18 days of standby time and seven hours of talktime. The music play of 24 hours is also possible on the phone without interruption. The physical measurement of phone stands at 104mm x 49mm x 14mm. The quad-band GSM/ EDGE network supports connection on Nokia 5250. There is GPRS connectivity for browsing that let users remain connected and also helps in downloading and using ‘n’ number of applications. 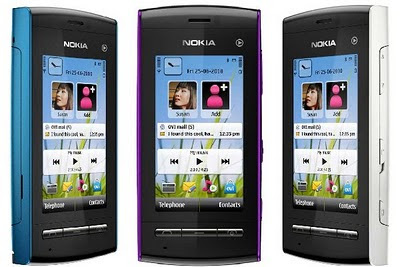 Nokia 5250 is available in multiple colours as Black, Blue, White and Purple. This Nokia 5250 is a successor of Nokia 5230 and is a right mix of style and performance.